Do you have more than 1 big project sitting on the shelf gathering dust – but weighing you down mentally? Do you ever miss important deadlines that end up costing you dearly? Do you have a seemingly endless to-do list? If so, you might be calling it procrastination, but there’s another label for you to consider – The Visibility Wound™. What IS The Visibility Wound™? 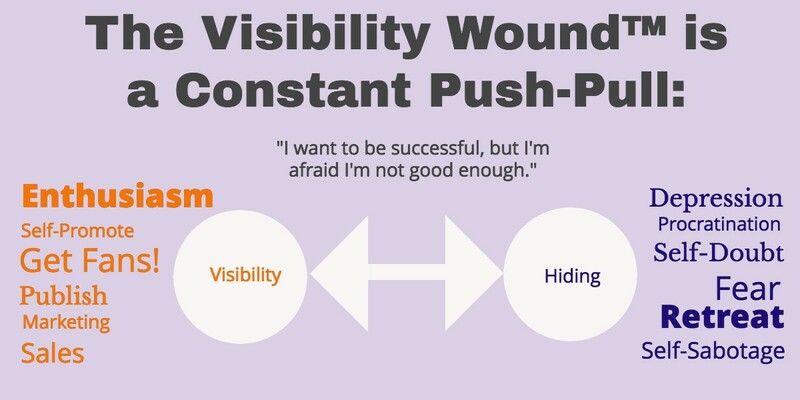 The Visibility Wound™, in a nutshell, is the conflicting impulses that so many of us entrepreneurs, leaders and creative types feel to both be seen and to hide. 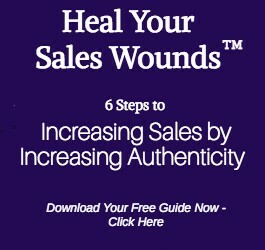 Like with all 6 of the Primary Sales Wounds™, almost everyone experiences some of these symptoms from time to time and it doesn’t mean that you’re necessarily suffering from a wound. For example, a Visibility Wound™ flare-up is different than a simple slow-down of productivity. We can’t always be moving through the world at full throttle, as much as we sometimes wish we could! Sometimes a slowdown is required – and having the wisdom to consciously shift gears is very different than a Visibility Wound™ flare-up. For more about how a slow-down in productivity is different than a Visibility Wound™ flare-up, read Is Constant Striving Really the Best Way to Be Productive? If, however, any of your Visibility symptoms are debilitating or long-lasting – or if they’re a reaction to an equal and opposite desire to be seen – that’s when you know you’ve got a full-blown Visibility Wound™ that requires attention. I myself suffered from a debilitating case of the Visibility Wound™ for 8 long years. In my case, my Visibility Wound showed up as huge spikes in productivity or accomplishment that flat-out terrified me, sending me into deep prolonged periods of hiding afterward. These periods of hiding were accompanied by deep depression, sometimes even suicidal depression. Me: Tell me your name again? Audience member: Hi, I’m Jackie. 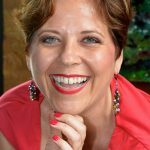 You’re so confident and putting yourself out there with picture after picture, all the enthusiasm – how do you get yourself to do it and not get sick of yourself? The fact that you can be so authentic, and honest, and out there is just pretty amazing. Audience member: So what you’re saying is you beat yourself up, but then you get over it. Me: Yes, that’s pretty much it! 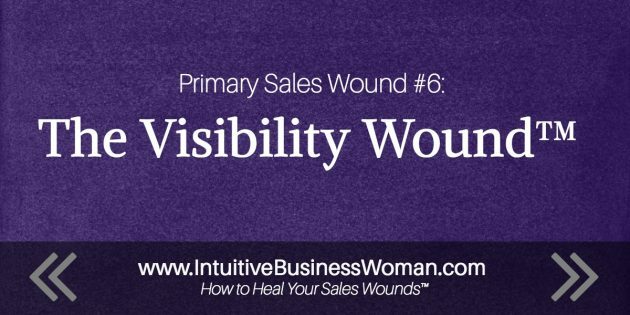 For more examples of the Visibility Wound™ in practice, watch this live conversation with me, Christina Morassi, Donna Crovatta and several other guests as we discuss the different ways that a Visibility Wound™ can show up. And if you’re interested in a more detailed description of my own struggle with the Visibility Wound™ please click here. Let me start off by saying that the Visibility Wound™ is fundamentally caused by a lack of self-esteem, self-love and self-confidence. 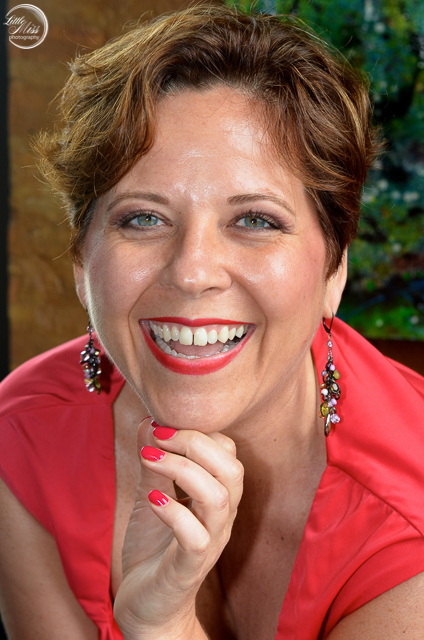 For help healing your Visibility Wound, consider hiring me for private coaching. I offer packages starting as low as $2,500, or up to $20,000.